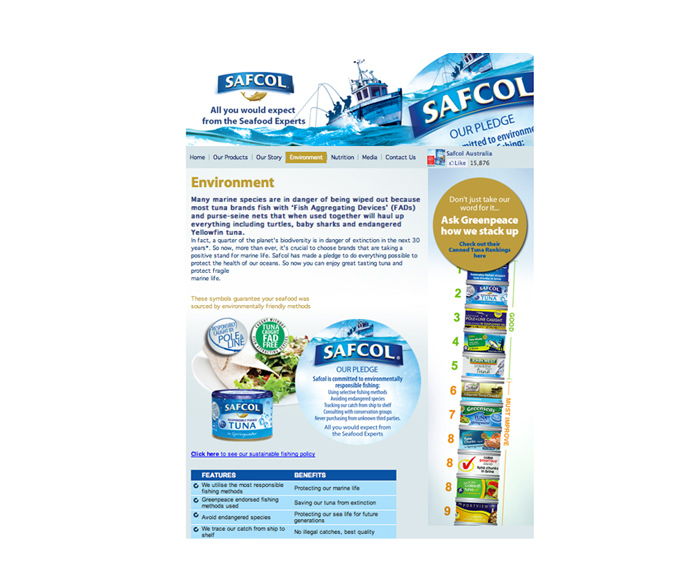 Safcol is one of the world’s major suppliers of fresh, packaged and frozen seafood, and one of our most ‘rampageous’ clients. 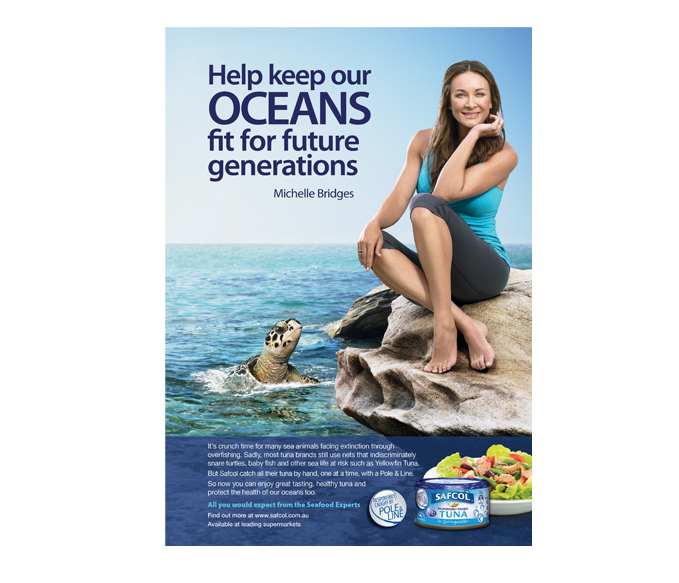 Their Marketing Manager, Dean De Villiers, who would rate amongst Australia’s bravest, enlisted our help to turn around the inherited seafood brand, which at the time, was facing impending deletion from key retailers nationally – a potential loss of $25M in sales! Safcol Tuna was rated a distant 4th in the market, with no clear differentiation to compete seriously (which means nobody thinks you are good enough to be in the game anymore, let alone play!) and was competing in a category dominated by John West, Greenseas, Sirena plus a host of home brands. 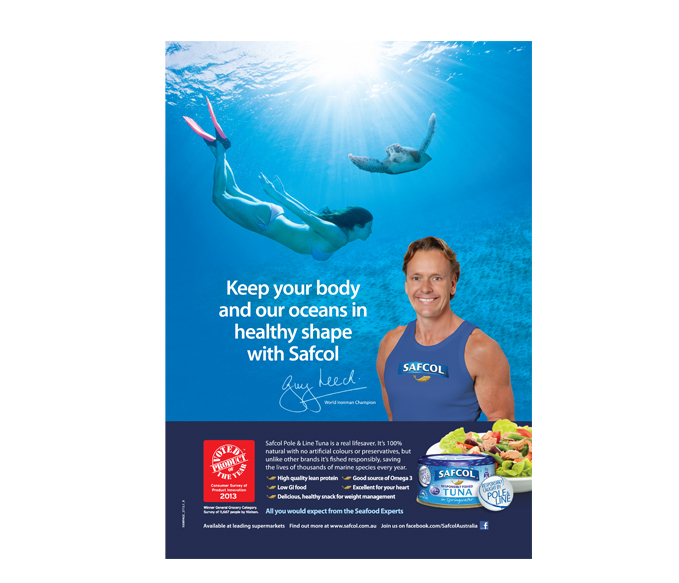 Rampage’s solution was to present Safcol with a environmental positioning that clearly differentiated their brand, but demanded a paradigm shift in the way that Safcol did business. 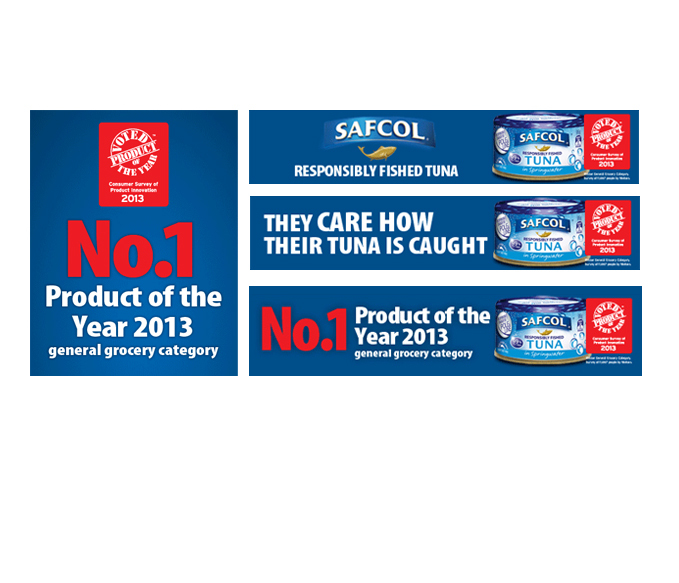 It also threatened to blow the canned fish category apart! 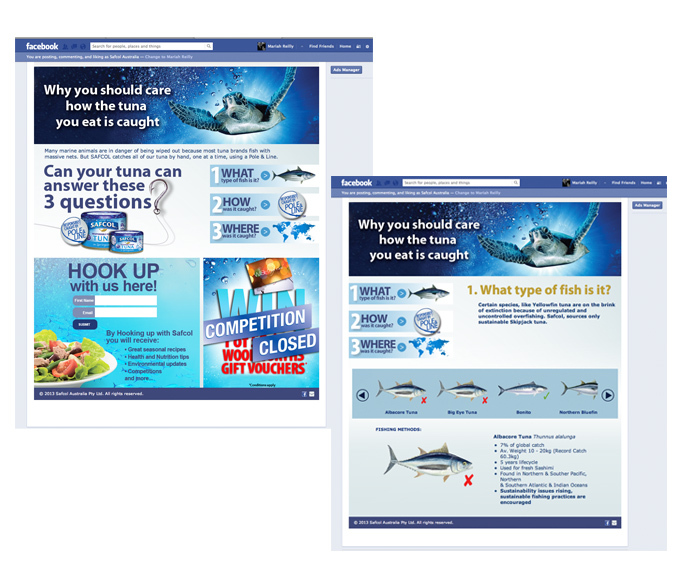 Safcol’s response was to dive-in head first and produce Australia’s first 100% Pole & Line caught tuna range. 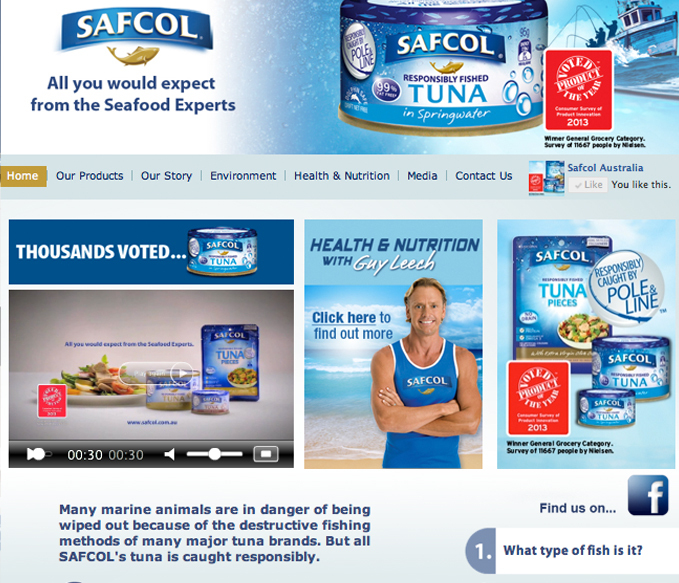 They went on to announced their pledge to market sustainable products sourced by sustainable fishing methods and run a Rampage-created intergrated campaign that contrasted Safcol fishing methods with the “destructive” ones of other tuna brands. 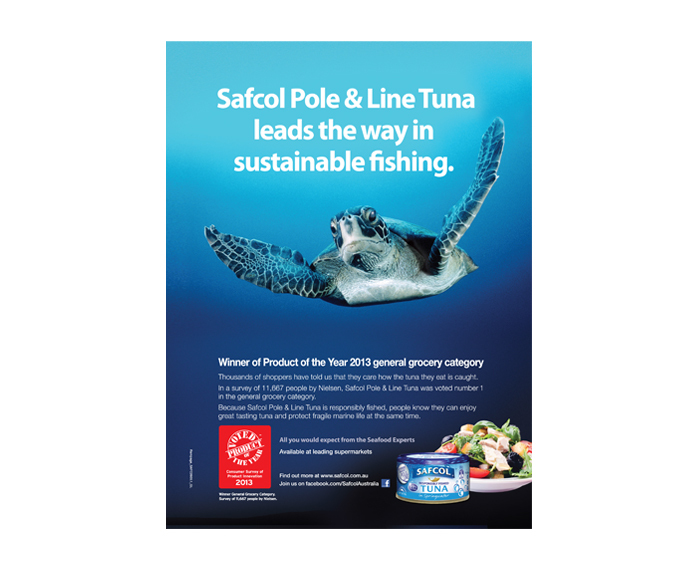 As a result Safcol Responsibly Fished Tuna was awarded Product of the Year Grocery Category and received environmental accolades from the likes of Greenpeace. In the process Safcol has blazed a whole new category, gained market share and changed shopper habits to loyalty status.